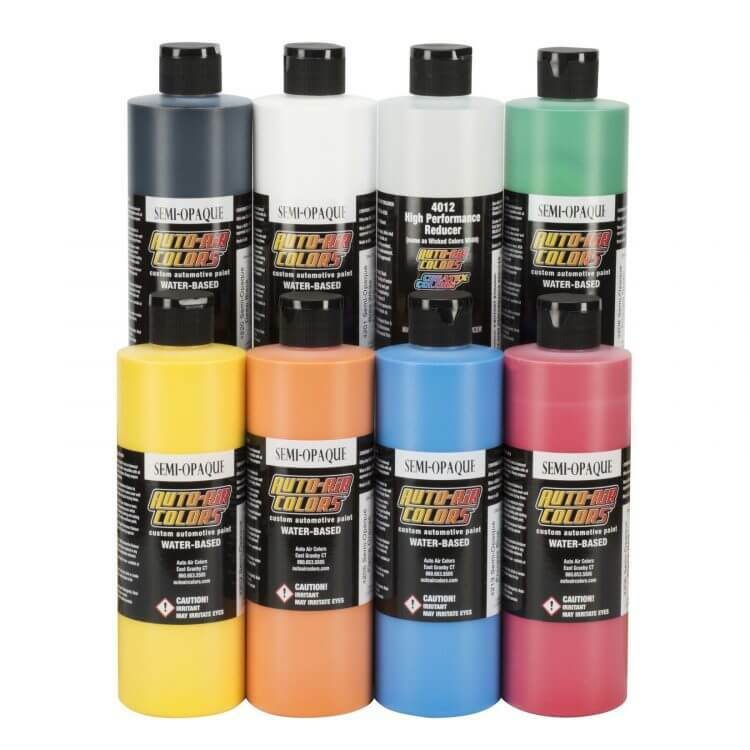 Airbrush Paint Direct are a leading supplier of Createx Airbrush Colors, Auto Air Colors, Wicked Colors and AutoBorne Sealers. 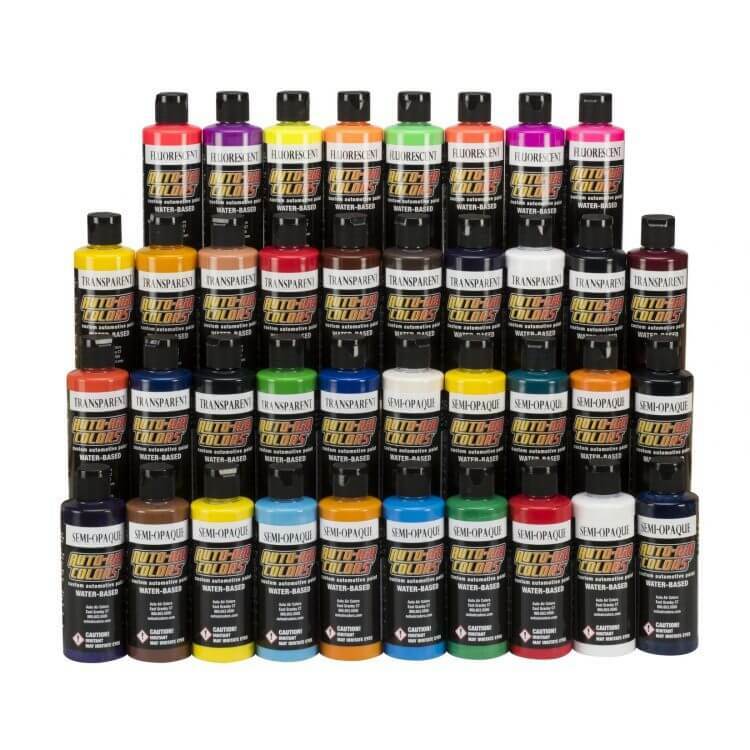 We carry all colors and sizes in stock ready for immediate dispatch. 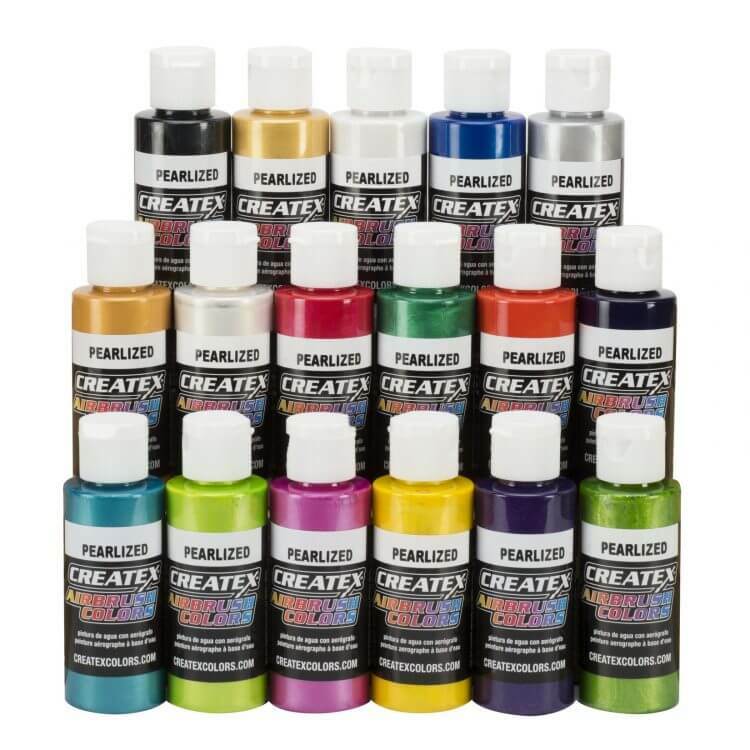 TRUE CANDY PERFORMANCE Brilliant transparent colors for custom refinishing and airbrushing. Candy 2O combine advanced water-soluble, urethane resin technology with crystal-clear dyes to create truly exceptional candy colors. 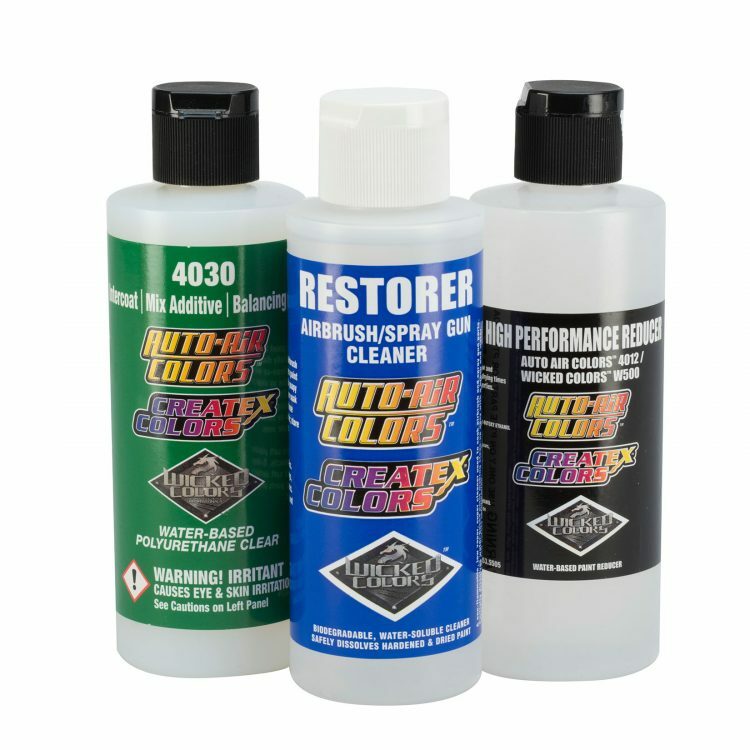 Add 10% per volume (9:1 mix ratio) 4030 Intercoat for spray performance. 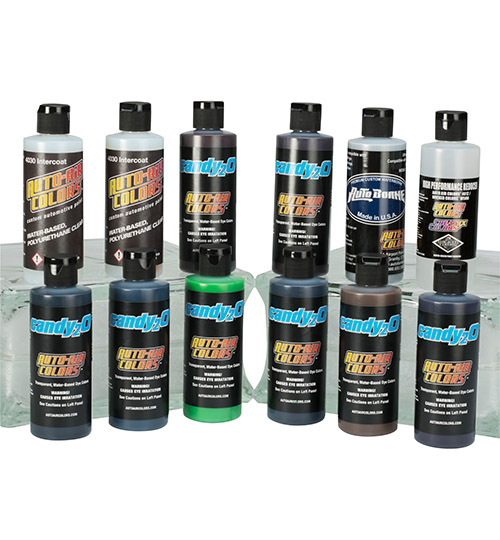 Optional lowering of viscosity is achieved by reducing with either 4012 High Performance or 4020 Automotive Reducer. Candy 2O are intense. 4  6 medium wet coats are recommended for full color saturation. Allow each coat to air dry tack free prior; approximately 10 minutes flash time in between coats when painting in non-humid, temperate conditions. Candy 2O are made for the graphic arts with excellent adhesion so they will not lift or peel when taped on. Apply 4030 Intercoat direct over air-dried Candy 2O to prevent bleeding when applying other colors and marking when taping. Candy 2O work with a wide variety of spray-gun and airbrushes. The following specs are recommended as a starting point. As always, achieving a finely atomized spray pattern is the goal. Reduce and adjust settings & psi to achieve a spray pattern that is smooth and free of large, color droplets or a grainy over-spray look.